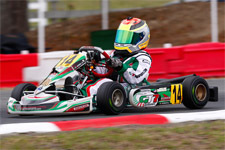 GT7 Motorsports, along with team driver Dylan Tavella, completed their best ever weekend of Mini Rok racing in his rookie season in the TaG Cadet class. 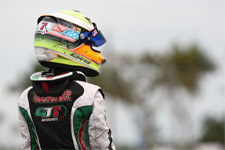 The third year racer from New York kept himself at the fast half of the field over the double-header weekend of action at the Ocala Gran Prix circuit. Tavella improved with each session and grabbed two top-ten finishes on the weekend to close out the first half of the winter racing program. Working with tuner Bob Radivoy and driver coach Gary Willis, Tavella also had support from Sargeant Motorsports engine tuner Daniel Lambert who worked with the GT7 squad for the weekend. "It was a great weekend for sure. I think the testing we did ahead of the weekend really helped," commented Phil Tavella, GT7 Team Principal. 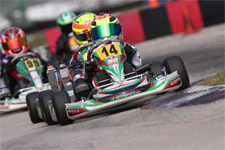 "Most of the drivers in Mini Rok have lots of time at the Ocala track and this weekend was definitely was a turning point in our Mini Rok program. The team was great and Dylan did a fantastic job. I really want to thank Dan Sargeant for allowing Daniel (Lambert) to work with us this weekend. It was a really nice of him to support our racing effort." 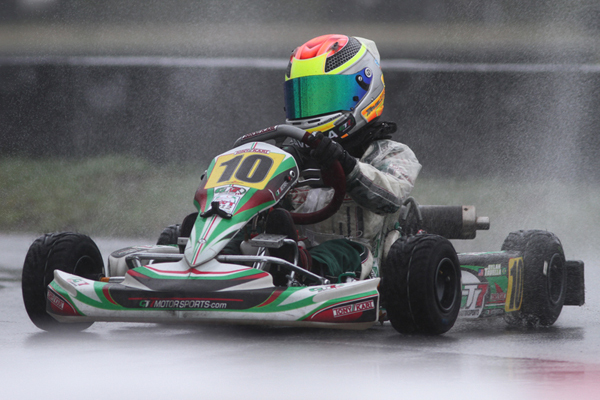 On Saturday it was 14th quickest in qualifying on the smooth and flowing Ocala Gran Prix circuit. The prefinal, held under sunny skies, had Tavella take 12th at the line. The final was a great run with Tavella breaking into the top-ten to take ninth place at the checkered flag and score his first top-ten in Mini Rok action. 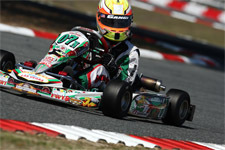 Sunday was another chance for Tavella to improve his position in the Mini Rok overall standings. A much-improved qualifying session saw Tavella hit eighth on the time sheets getting closer to the lead group of racers. In the prefinal a tough battle had Tavella hit the stripe in tenth place as he looked to run clean and be in contention for the final. The rain-delayed final would be Tavella's best run of the weekend. Running in wet conditions, the talented nine-year-old racer ran strong, making passes and improving his position with each lap. At the line it was Tavella with his best finish of the season taking sixth and earning a second top-ten result on the weekend. 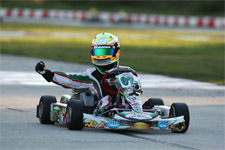 "I am really happy to get a couple of good finishes in Mini Rok. The testing with Gary (Willis) the week before really helped a lot," comments Dylan Tavella. "I really wanted to get some good results before the Micro Max weekend. I want to thank Bob, Gary and everyone at GT7 for a great weekend. I also want to thank Daniel (Lambert) from Sargeant Motorsports for all of his help. We have a lot of ground to catch up this weekend in Micro Max, but the championship is not out of reach." Tavella and the GT7 Motorsports crew will arrive back at the Ocala Gran Prix circuit this weekend to take part in the final weekend of Florida Winter Tour racing action. 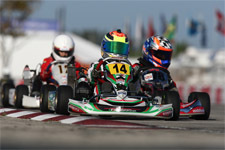 Tavella will take on the Rotax Micro Max class and teammate Anthony Gangi Jr. will take in the Rotax Mini Max class.